Veterinary practitioners have more insight into how most drugs work to modulate pain and how and why a combination of therapies can benefit patients. Untreated pain decreases quality of life in all patients, and prolongs recovery from surgery, injury, or illness. Today’s analgesic strategies allow people—and now animals—to live more comfortable lives. Preventing and managing pain has become a fundamental part of quality and compassionate patient care in veterinary medicine. As advocates for their patients, the veterinary team has the responsibility to recognize, assess, prevent, and treat pain. Pain should be thought of as the fourth vital sign—after temperature, pulse, and respiration—and integrated into all patient evaluations. Many health conditions and medical procedures cause pain in cats and dogs. Attention to pain is fundamental to every aspect of patient care, regardless of the patient’s condition or reason for presentation to the veterinarian. Managing pain effectively requires looking for its signs and asking the right questions. Because many animals may not show obvious indications of pain, identifying the degree of pain and the amount of suffering associated with it can be a challenge. The most common sign of pain is change in behavior. 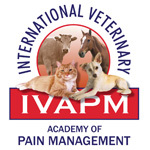 Incorporating pain management into the veterinary practice helps everyone. It benefits the patient through improved quality of life and reduced complications. It benefits clients through enhancement of the human–animal bond. It benefits the health care team through increased safety; improved morale, pride, and job satisfaction; and a less stressful environment. Contemporary approaches to pain management enable veterinarians to more effectively fulfill their responsibility to relieve animal suffering as pledged in the veterinarian’s oath.